A 2003 graduate, Michael Anthony Brown was born September 14, 1984 in Springfield, MO. During his time at Kickapoo, Michael began to create videos for class projects, and experiment at home, developing a knack for the creative technical aspects of production. He worked to co-ordinate the technical sound aspects for the school production of Kiss Me Kate. At the Springfield-area high school drama competition, Michael co-wrote the one-act stage play Insomniacs, which took home best original script. He served as Media Commissioner for Student Council's Cabinet, producing weekly videos for the student body and created a memorable, one year later, memorial video for 9/11. Michael was selected from high school students across the country to Produce for Channel One News, the national in-school news network based in Los Angeles, CA, during their annual Student Produced week in 2003. In addition, Michael was sought out by the Springfield Rotary Club to produce a video for the 150th anniversary of Springfield. After graduation, Michael headed west for Los Angeles and attended Video Symphony, a trade school for post-production technologies, and soon began working as an Assistant Editor on series for: Discovery Channel, The National Geographic Channel, TLC, and in 2005 a feature Documentary, Grizzly Man. From there he began to freelance as an Editor, traveling the world, making documentaries and producing content for A&E Television, Current TV, The Tennis Channel, Speed Channel, ESPN Original Entertainment, and FOX Sports. His most recent endeavor is developing a feature film company, Lake Island Films. Brent Huff graduated from Kickapoo High School before attending the University of Missouri where he majored in Theater Arts. After college he moved to Los Angeles to begin his professional career as an actor, writer and director. Soon after arriving in California he appeared in the feature film Coach, a story about a high school basketball team with a female coach. Huff was the co-captain of the basketball team at Kickapoo. He has acted in over fifty films and numerous television shows. He won acclaim playing John Mellencamp’s tortured brother in Falling from Grace. He recently appeared on Cold Case and the critical hit, Mad Men. 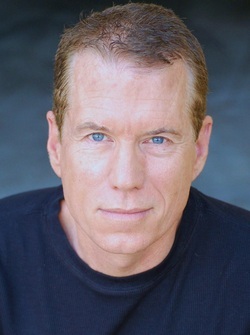 Huff has also appeared on The West Wing, Jag, Lucky and had a recurring role on Pensacola: Wings of Gold. He has written and directed 11 films working with such stars as Brian Dennehy, Maria Bello, Peter Coyote, James Brolin, Julian Sands, Michael Madsen, Crystal Bernard and Rebecca Pidgeon. He recently directed the feature film Last Will which stars Tatum O’Neal and Tom Berenger. Brent is married to actress Shawn Huff and has a daughter Bailey who is also an actress. The Huff’s live in Los Angeles. Brent’s parents and sister call Springfield home. Jay Kenneth Johnson was born and raised in Springfield Missouri and attended Kickapoo High School from 1991-1995. He moved to Los Angeles in 1999. Within months, he landed a few parts, including a reoccurring role on the Young and the Restless. Just weeks later, Johnson auditioned for, and won, the part of rich teen Philip Kiriakis on the longtime daytime serial, Days of our Lives. He filmed his last scenes on the Days set in November, 2002. Making the audition rounds for the 2003-2004 pilot season, Jay won a prominent role in the Aaron Spelling pilot, Hotel. The following spring, after completing a guest stint on The O.C., Jay headed to Oahu, Hawaii for his first prime time series, FOX's North Shore. Jay played Chris Remsen. 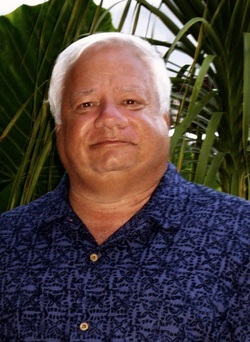 When North Shore's run came to an end in early 2005, Jay returned to Los Angeles; he quickly landed guest appearances on CSI:NY, Charmed and CSI:Miami, plus a recurring guest role as Dr. Matthews on Scrubs. 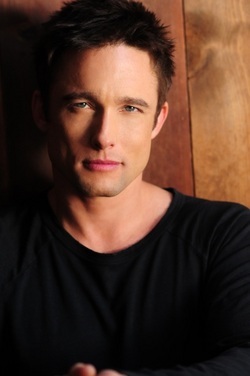 During the summer and fall of 2006, Days of our Lives asked Jay to return to the role he made his own: Philip Kiriakis. Excited by the prospects of playing a 'new' and different Philip, Jay returned to the show in January, 2007. Jay continues to live and work in Los Angeles. 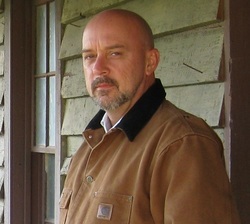 Anthony “Tony” Loudis taught at Kickapoo from 1979 – 2010. He taught almost every Communication Arts class offered but his love was television and theatre. He grew up in Kansas City, Missouri, and participated in theatre throughout junior high, high school and college. Before he transferred to Springfield, he starred in “West Side Story” in the “Theatre Under the Stars” program, with academy award winner, Chris Cooper as his co-star. While in Springfield, he trained at SMSU and performed in Tent Theatre as “Sancho” in “Man of La Mancha” and “Val” in “Babes in Arms.” He performed and directed many Springfield Little Theatre productions. After SMSU graduation, he was hired to teach at Kickapoo High School and worked with many stage productions as well as directed many of the Student Talent Shows. He taught Drama for two years and taught overload theatre classes when needed and played Charile Brown in two faculty musicals. Tony loved students and cared about their dreams. He is in constant contact with many of those graduates and will proudly say “ I had that kid in classes a long time ago.” Anyone can be a friend, but not everyone can be a teacher. Kickapoo High School alumnus Kim Crosby was born July 11, 1960, in Fort Smith, Arkansas. While attending Kickapoo, she was named America’s Junior Miss and starred in the role of Laurie in Oklahoma on the KHS Stage. Ms. Crosby is well known for her Broadway performances in Follies, Jerry’s Girls, and Guys and Dolls. She originated the role of Cinderella in Stephen Sondheim’s musical Into the Woods in 1987 and can be heard on the Grammy Award winning original cast album. Off-Broadway credits include Anne Boleyn, Katherine Howard and Jane Seymore in Six Wives, and Marsius in Philamon, both productions at the York Theatre. 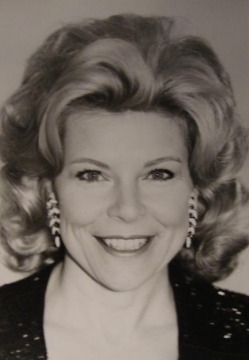 Television credits include Jane Porter in Tarzan in Manhattan (CBS); The Cosby Murder Mysteries (NBC); The Guiding Light (CBS); All My Children (ABC); and a long list of commercials. A popular Pops performer, Crosby has performed with many orchestras in the U.S. and overseas. Ms. Crosby lives in Springfield, Missouri, with her husband and three children. Mrs. Jo Alice Gillihan first led drama at Springfield's Central High School, where she taught students to fly in Peter Pan. After seeing the performance local elementary students tried "flying" from the steps of Central Auditorium's entrance. She encouraged greater student participation by recruiting unlikely stage hands from seventh period study hall. Moving to Kickapoo in 1974, Mrs. Gillihan directed productions such as South Pacific and Bye, Bye Birdie. 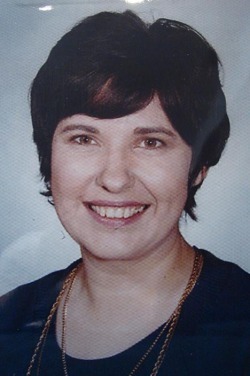 Later she taught English and Humanities at KHS. 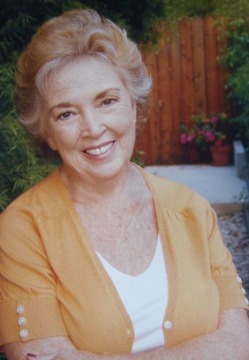 Brenda Goodwin started teaching at KHS in 1973 and continued until 2001. She began as a physical education teacher and coach. She was the varsity girls’ track coach, and tennis coach. Throughout her career she also coached cross country and freshmen volleyball. In the late 80’s she wrote a pilot for a dance and aerobics class, Aerobic Movement Education. It was at this point that her love for dance took over and she began to assist with choreography for the musicals. Brenda choreographed her first full musical, Oklahoma! in 1994. She was involved in musicals from that year until 2007. Her list of show credits include: Annie Fiddler on the Roof, Guys and Dolls, Kiss Me, Kate, West Side Story, Footloose, The Robber Bridegroom, Grease, My Fair Lady, and Oklahoma! From 1996 to 200 she also coached the Golden Girls Pom Squad at KHS. She has been involved in numerous shows at Springfield Little Theatre. She is currently an assistant professor at Missouri State University teaching dance and pedagogy in the HPER department and coaching the Diamond Girls, a dance/cheer squad that performs at all Mo. State University Bears’ baseball games. 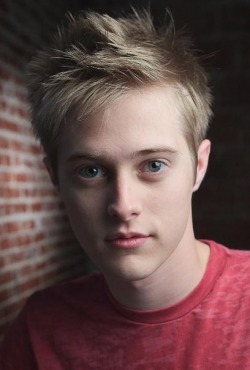 2003 Kickapoo graduate Lucas Grabeel was born November 23, 1984, in Springfield, Missouri. While attending Kickapoo he was a member of the choir, initiated the first men’s a cappella group, No Treble and was Assemblies Commissioner for Student Council. Lucas performed in school productions, Westside Story, Kiss Me Kate, and Footloose as well as appearing in numerous community theater productions. After graduating he ventured out to Los Angeles and soon began working on the third installment of the Halloweentown series; the Disney Channel Original Movie, Halloweentown High. He reprised his role in the fourth installment, Return to Halloweentown. In 2006, he was cast as Ryan Evans in the Disney Channel telefilm High School Musical, he became an active part of an ongoing media phenomenon that has encompassed a 2007 telefilm sequel (High School Musical 2) and a 2008 feature film (High School Musical 3: Senior Year). Grabeel has made TV guest appearances on TV series such as Boston Legal, Til Death, Veronica Mars, and Smallville. Some of his other movies include, The Adventures of Food Boy, Alice upside down, Lock and Roll Forever, College Road Trip and Milk. Grabeel was voted “Most Likely to Do Big Things” in 2009 by MTV. 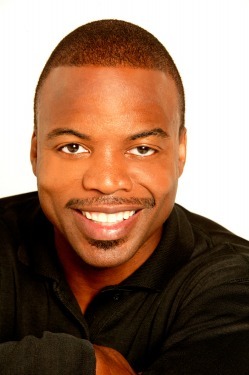 He founded his very own production company called 14341 Productions. Grabeel was honored with the Maverick Star Award at The Temecula Valley International Film Festival for his extraordinary diverse talent and the impressive body of work he has amassed in both film and music. He co-starred in the upcoming film What’s Wrong with Virgina. Grabeel most recently played the lead in the film The Legend of the Dancing Ninja. 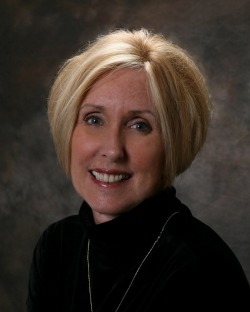 Dr. Sandra House taught drama in high school for 23 years, seven at Kickapoo. While at Kickapoo, she directed The Sound of Music, Fiddler on the Roof, Guys and Dolls (twice), Oklahoma, Annie, and Bye, Bye Birdie. She has directed more than 30 musicals and numerous plays in schools and churches, as well as acting in television and radio commercials. She received her doctorate from Tulsa University, has taught speech at MSU for 8 years, and received Missouri's Outstanding Teacher Award from the Speech Association of Missouri. Providing experience in all aspects of theatre was an important part of Janice Johnson's tenure at KHS. She directed musicals Oklahoma, Lil' Abner, Carousel, The Music Man, Oklahoma, Anything Goes, and You're a Good Man Charlie Brown, as well as many plays. Under her guidance, the drama department staged 6 productions each year and even toured with children's shows her students wrote. Ms. Johnson has performed in a wide variety of television shows, films, commercials, and theater productions across the United States. Sterling “Bobby” Macer, Jr., was born in Springfield, Missouri, November 28, 1963. As an active member of the Kickapoo Drama Department, Sterling starred as the lead in The Great All-American Musical Disaster, and as Snoopy in A Charlie Brown Christmas. “We made his ears out of white socks,” reminisced his former drama teacher, Janice Johnson. Since graduating from Kickapoo in 1982, Macer has appeared in a wide variety of television and film roles including Star Trek: The Next Generation, Harts of the West, Double Take, CSI: Crime Scene Investigation, NYPD Blue, 24, JAG, CSI: Miami, Veronica Mars, and Lincoln Heights. He received the Urbanworld Film Festival Audience Award for Park Day in 1998. 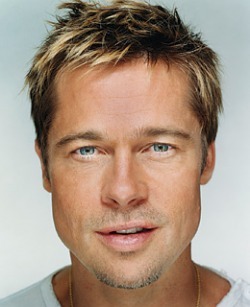 1982 Kickapoo graduate Brad Pitt was born December 18, 1963, in Shawnee, Oklahoma. At Kickapoo he was a member of the golf, tennis, and swimming teams, as well as the Key and Forensics clubs, and he participated in school government. He also performed in the school productions notably in Carousel and The Music Man. After graduation, Pitt studied at the University of Missouri before moving to Los Angeles to pursue an acting career. Pitt’s first acting work came in television, appearing in episodes of Dallas, Another World, 21 Jump Street, Head of the Class, and Growing Pains. His film career began with the 1989 horror film Cutting Class, and he quickly became a house-hold name with such films as Thelma and Louise, A River Runs Through It, Interview With the Vampire, and Legends of the Fall. He has made more than 40 films, playing a wide variety of roles to critical acclaim. Pitt is also a celebrity activist and philanthropist, establishing foundations to aid humanitarian causes in the United States and around the world. Brad graduated from Kickapoo High School in '79 before attending Drury University in Springfield, Missouri. At Kickapoo Brad was a member of the band, jazz band and active in the theater department. He was Student Body President and as a member of the debate squad he represented Kickapoo High School at the National Speech and Debate Tournament in Cleveland, Ohio. 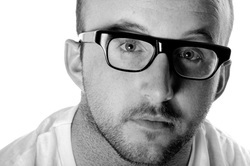 Southwick began his career in the entertainment industry as a production assistant in New York City. Relocating to Los Angeles, he worked for Michael Jackson’s Ultimate Productions during the making of the Bad album, his follow up to the hugely successful Thriller. He produced his first movie, The Willies, released by Paramount in 1990. Since then he has produced over thirty features, four television series and countless commercials, music videos and industrials. He has worked on location throughout North America and extensively in Europe and Asia. In 2008 Southwick produced Legion, starring Paul Bettany and Dennis Quaid. Released in 2010 by Screen Gems in 2,476 theaters in the United States, the film went on to become an international box office hit. Other feature film credits include A Warrior’s Heart starring Twilight’s Kelen Lutz and Ashley Green released in 2011. Southwick’s credits also include Last Will starring Tatum O’Neil and Tom Berenger, and Living in Peril with Rob Lowe and Jim Belushi. He produced Body Armour starring Chaz Palminteri and Til Schweiger in Barcelona, Spain and Rancid with Matthew Settle and Fay Masterson in Stockholm, Sweden. He also produced the film adaptation of Norman Mailer’s The Time of Her Time and most recently the 3D docudrama Divine Awakening, both directed by Francis Delia. Southwick’s television credits include the twenty-three part epic series The Korean War, shot in the United States and China for CCTV and thirty-nine half hour episodes of programming for HBO including most recently The Girls Guide to Depravity. He has also produced two HBO World Premier Movies, eight SyFy Channel original movies and too many commercials, music videos and industrials to count. Born in Springfield, MO in 1988, Stephanie Stockstill began taking music lessons at the age of 5, studying piano, voice, and violin. She participated in honors music ensembles, the Landers Theatre's Young Entertainment Series Troupe, and many community and high school theatre productions before attending the Voice and Opera Program at Northwestern University where she was also accepted into the Music Theater Certificate program. Since receiving her bachelor's degree, Stephanie has been performing in Chicago's thriving theatre community. Some of her favorite roles include Anne in A Little Night Music (Circle Theatre), Princess Margaret in The Student Prince (Light Opera Works), and Susy in Wait Until Dark (Jedlicka Performing Arts Center). Stephanie has also participated in staged readings of four new musicals and was the featured actress in Steve Grand's music video Back to California in early 2014. Adrienne Wilkinson (class of '95) is best known for playing Livia/Eve, the sometimes warrior, sometimes saint, daughter of Xena on the TV series "Xena: Warrior Princess", the most widely watched show in the world at that time. She started on television in an episode of "Sweet Valley High," and moved on to "Saved By The Bell: The New Class," "Chicken Soup for the Soul," and had several guest appearances on MTV's show "Undressed." She starred as Nikki on the US version of the dramedy series, "As If." She has appeared in guest spots on the series "Angel," as a cheeky flapper from the 1920s; as Linda Browning in NBC's popular soap opera "Days of Our Lives;" 'Phoebe in disguise' on the eighth season of the WB show "Charmed;" Melody on the ABC show "Eyes;" and was the love interest of Dr. Ray Barnett on the hit NBC drama "ER," where the plot of a spectacular building collapse nearly killed her character. Her most recent projects include series regular roles in the sitcom "Goodnight Burbank" and the soap "Venice". Her film career includes the lead role in "Reflections," (directed by Barry Caldwell and starring Zoe Bell, James Morrison, Louis Lombardi, Jim Beaver, and Matt Long), and "Lakeshore Drive," (written and directed by Michael Grais and starring Adrienne and Peter Dobson). She also appeared in the film "Pomegranate," was the female lead in the Sci-Fi channel film "Alpha Force" and her most recent role is Missy Blue in the film "The American Failure". Adrienne's producer credits include the films "Perfection" which shows the journey of a ballet dancer recovering from a devastating stroke and "Seconds," which showcases a woman's triumph over depression and self-injury. She is sought after for her voice over work, which includes more than 50 characters in video games, cartoons, and commercials. She stars as the voice and on camera likeness of female Jedi Maris Brood in the "Star Wars: The Force Unleashed" video game franchise and can be heard as the character 'Daughter' in "Star Wars: The Clone Wars". Adrienne is also known for her charity work, which includes a focus on literacy programs, animal welfare, and children. Her website (www.adriennewilkinson.com) hosts an annual charity auction each November which helps to support families dealing with medical expenses.